TUCSON, Ariz. -- The FBI has released some new photos, video and documents from its investigation of the January 2011 shooting in Tucson that left six people dead and 13 severely wounded, including former U.S. Rep. Gabby Giffords. Giffords was the target of a lone gunman at the meet-and-greet event outside a supermarket and was left partially paralyzed. 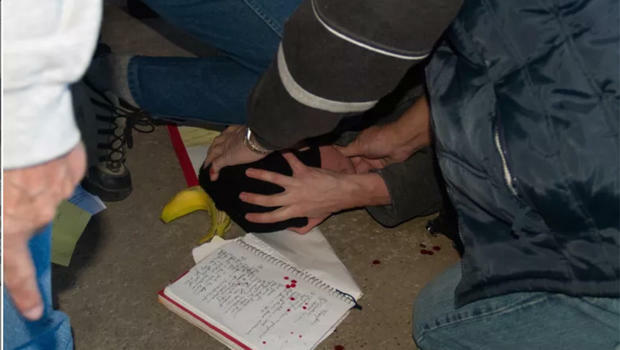 CBS Tucson affiliate KOLD-TV reports that one of the pictures released shows Pima County Sheriff's deputies holding gunman Jared Loughner on the ground by a blood-stained notebook following the shooting, although their faces are blacked out. KOLD-TV says the items span the minutes before the shooting through those immediately after. Another TV station says a surveillance video shows a hooded Loughner walking though the store before the shooting. Among those killed were 9-year-old Christina-Taylor Green, U.S. District Court Judge John Roll and Giffords aide Gabe Zimmerman. Loughner was sentenced to life in prison in 2012. Any of the items the FBI made public can be found here. "Congress on your Corner" this Saturday at the Safeway located at 7110 North Oracle. That is the Southeast Corner of Oracle and Ina. I will be there with my staff from 10:00 to 11:30 a.m. to meet with you in person and answer any of your questions about what's going on in Congress. For more information, please call 881-3588. Again, this is Congresswoman Gabrielle Giffords and I hope to meet with you in person this Saturday."